(TibetanReview.net, Dec27, 2016) – China said Dec 25 that it had concluded on Dec 25 a two-week course on “safeguarding national unity and opposing separatism” for a batch of 38 Tibetan Buddhist monks, including “Living Buddhas”, at the Central Institute of Socialism (CIS) in Beijing. The two-week courses, which began on Dec 13, focused on “the enhanced recognition of Chinese culture, building sound religious relations and promoting the sinicization of Tibetan Buddhism,” reported China’s official globaltimes.cn Dec 25. The report cited Pan Yue, Party Chief and CIS Vice President, as having said in a speech at the courses’ opening ceremony that safeguarding national unity and opposing separatism were the basis of “the great unification,” adding it was not only the viewpoint of ancient Chinese but also the cornerstone of modern Chinese values. 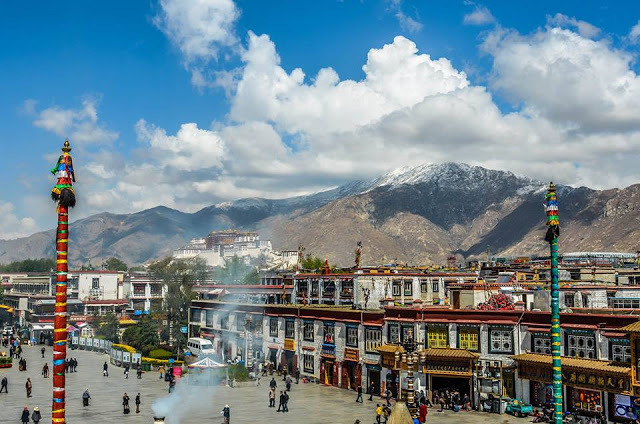 The report quoted Wang Xiaobin, a scholar at the Beijing-based China Tibetology Research Center, as saying, “The Tibet question or Tibet issue were coined to seek independence while seeming to recognize that Tibet is part of China,” noting that there was no issue with Tibet. This obviously raises the question why Tibetan Buddhism needed to be sinicized if it had already been Chinese since ancient times. The report noted that a training course for newly reincarnated Living Buddhas, including a visit to late Chinese leader Mao Zedong’s Memorial Museum, was completed in late October in Changsha, Central China’s Hunan Province. It added that the Living Buddhas learnt about national religious policies and socialist core values at the Tibetan Institute of Socialism.